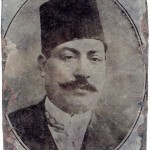 He began his life as a Koran reciter and a munshid (singer of religious hymns) before switching to the secular learned repertoire in the early years of the twentieth century. He served as a madhhabgi (chorist) for Shaykh Ibrahim al-Maghribi, which gave him the opportunity to learn the complex rythms associated with muwashshahat. Thus, he gained a considerable advantage over other interpreters of the Khedivial School.Safti was one of the few great voices of the Egyptian School to master and record a significant number of muwashahat as soon as the recording industry penetrated Egypt. Also, he is the only singer at that time who recorded extensive renditions of these pieces, sometimes with complex cycles, while other singers such as Manyalâwî or Abu al-̕ Ila and, most of all, Hilmí tended to shorten them. 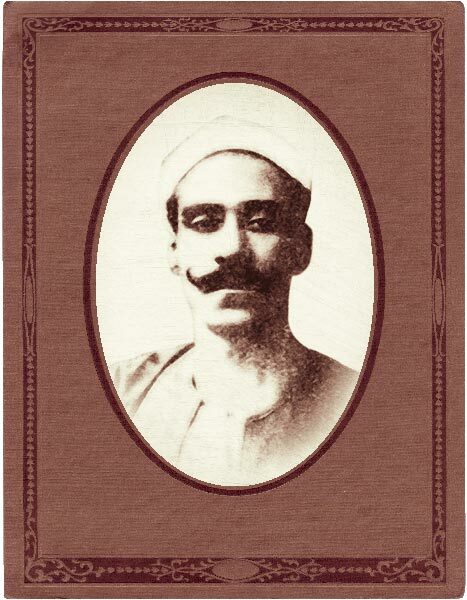 Safti’s art in his recorded versions of the adwar composed by the masters of his generation, such as Hamuli and Othman and later Husni and Qabbani is characterized by rigor and concern for professionalism. 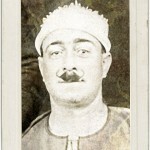 Nicknamed the ‘Master of the Dawr’ and the ‘trustworthy singer’ (al-mutrib al-amin), he kept his variations within the frame suggested by the composer and, unlike `Abd al-Hayy Hilmi or Salama Higazi, he was not naturally drawn to an inspired reinterpretation of those works, nor was he keen to follow Manyaldwi in his playful renderings and tendency to add whole sections. Safti was endowed with a powerful yet subtle voice that carried reserved emotion and tenderness, as in his remarkable recording of ̕ Uthmân’s masterpiece, kâdni l-hawa. Safti was one of the most prolific and one of the most popular recording artists. From the early Zonophone cuts in 1903 until his last Polyphon records in the late twenties, he probably issued more than 300 disks. He Is said to have worked for five consecutive years (1905 to1910) without any single night of recess. He was, along with Salâma Higazi, one of the first artists to go on long tours to Syria and Lebanon, where he left a big impression and, in fact, most of the information available on this artist is mainly found in Syrian written sources. Severely alcoholic, he would at times sleep in the middle of a dawr during a concert. His sister received him in their village with the condition that he refrained from making any public appearances. He had no chance of finding a last resort in Egyptian radio, and did not appear in any worthy programs. During the 1932 Congress, no one even considered inviting him to record the heritage of the Khedivial School.